Newcastle united have been linked with a move for 18 year old Northampton Town striker Ivan Toney. The source for the link comes from various Northampton sources. 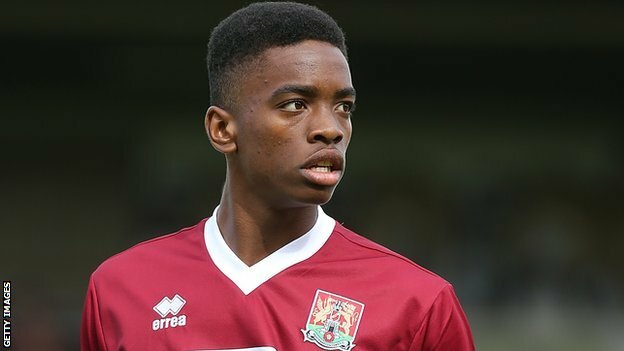 Since making his debut as a 16 year old against Bradford City in the FA Cup for the Cobblers, Toney has played 30 times for the club in all competitions and has scored seven times. In fact he scored three times in the last two games of the season against Oxford United and Dagenham & Redbridge to save the club from relegation last season. The striker has also recently signed a deal that would keep him at Sixfields stadium till 2017. However a move to the Premier League Giants(…) like Newcastle United may be too hard to turn down for both the player and the club. The Magpies are certainly looking to add to players to their academy and a move for a promising English striker would certainly make sense.